Interlocking martial art mats - At the best price I've ever come across. Constructed from medium density closed cell polyethelene foam. 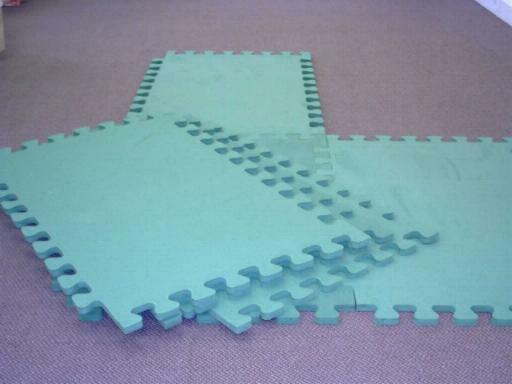 Shown below are the actual martial art mats, which can also be used as general training mats, gym mats or tournament mats. But don't forget to bookmark this page because I'll guarantee you won't find martial art mats any cheaper anywhere else. I spent about 50% more on mats about a month ago, before I managed to source these. I was absolutely gutted, but at least I can pass on the savings to you, even if I missed out myself ! Fill in the form below for more details.